Backlinks have stuck with us through years of confusing algorithm changes and shifting strategies. There’s only one key difference between now and 10 or 20 years ago. The “more, more, more!” approach to link building may have worked in the early 2000s, but things are different now–namely with the addition of linkless backlinks. Google no longer gives top billing to sites with spammy backlinks, instead relying on a whopping 200+ ranking factors. One of those ranking factors is a new SEO concept that’s quickly gaining traction: the linkless backlink. 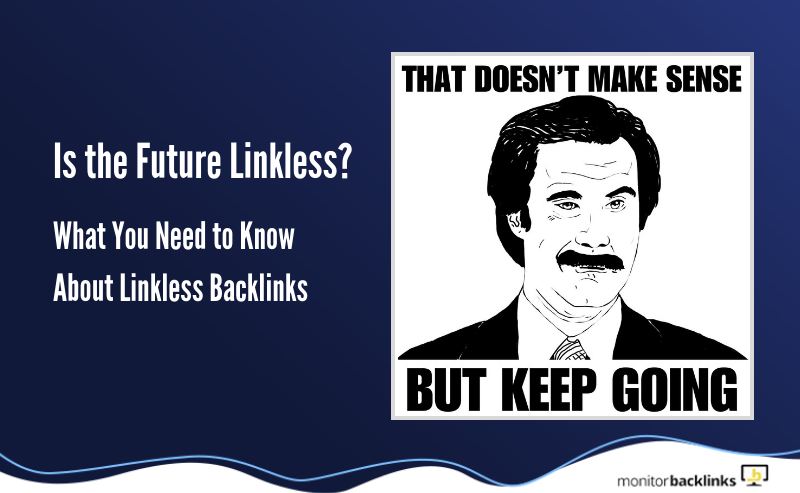 The term linkless backlinks sounds like a bit of an oxymoron. It refers to a brand mention that is made without any anchor text linking back to your site. It’s like a backlink lite. So, if I’m on social media or another blog and post something about Monitor Backlinks without embedding a link to https://monitorbacklinks.com, that’s a linkless backlink. Other examples include brand mentions in an article, customer reviews, YouTube comment, or within the transcript of a podcast or video. You might argue that a linkless backlink is not a backlink at all, and you might be right. On the other hand, these linkless backlinks are now starting to send the same signal to search engines about the reputation of the mentioned brand or website. After all, your typical backlinks with links embedded have become such a valuable item in SEO that they’re now sought after by all manner of scammers and schemers, whereas some of the most organic and meaningful referrals can come from someone mentioning a brand online without actually adding the link. Search engines, especially Google, have taken notice of this. Why Are Search Engines Tracking Linkless Backlinks? Google hasn’t actually said much about how linkless backlinks factor into their algorithm. However, they have included something called “implied links” in their Panda patent. This 2014 Moz article explains that Google intends to make a “semantic map” of brand mentions. Meaning, if any brand buzz—hyperlinked or not—will factor into how they rank when someone enters a relevant search term. Bing has been experimenting with linkless mentions, too. Duane Forrester, former Senior Product Manager at Bing, says linkless mentions can be just as strong as their hyperlinked counterparts. In the past, traditional backlinks pointing back to a website were the easiest way to measure authority from a search engine perspective. However, as Google and Bing have become more sophisticated, they can now take more things into account. For example, a robust social media following, guest posting on industry blogs and online reviews can all play a role in improving how well you rank. The added benefit with linkless backlinks is, they have the power to lend some credibility to your brand or business without sounding too much like a blatant plug. How Can You Use Linkless Backlinks to Your Advantage? In addition to using a traditional backlink checker like Monitor Backlinks, you’ll want to use a social listening tool. There are a ton of paid options like BuzzSumo, Awario and Mention. But, you can also get away with using Google Alerts to keep tabs on your brand, your competitors, and the keywords you’re competing for. While not the most comprehensive rep-management tool on the web, it’s free and easy to use. In considering this particular metric, you’ll need to change how you evaluate SEO success. Instead, think on the holistic level. Look closely at your brand’s public perception, making sure people know about your brand and have a good experience with what you’re offering. Respond quickly to negative reviews and make a concerted effort to show off what excellent customer service skills you have. Since linkless mentions are a PR/SEO hybrid, part of your strategy must include keeping on top of any bad press. As such, you’ll need to address grievances shared in the public sphere or articles with inaccurate or unflattering information. Pay more attention to signals like conversions, website traffic, number of followers on social. Ultimately, if people are looking at your posts or visiting your website, but not converting, there may be an issue with messaging. In many ways, the link building process is the same as for traditional backlinks. 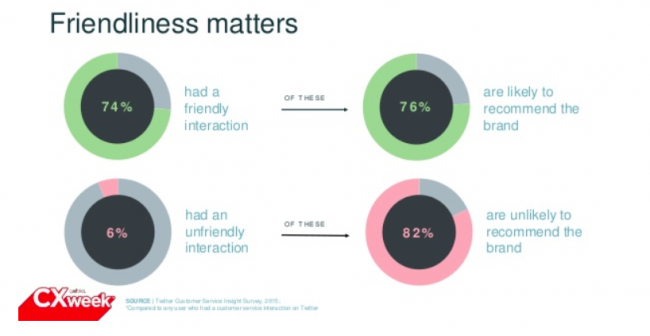 You still need to build relationships with bloggers, influencers and media outlets. You’ll still need to identify opportunities to guest post on relevant platforms. And you’ll still need to promote content on your social media channels and beyond. That said, approach this with big-picture reputation building in mind, not just securing the actual mention or link. It’s smart to take a systematic approach to boost your brand’s profile—keep track of your relationship building efforts and use tools (link tracking and reputation management-focused) to fill in the gaps. A few ideas to do this below. Guest blogs will be a big part of your efforts, and they may be an easier sell without asking for a link in the body of the text. Just gently mention your brand in the body without including a link. Rather than thinking in terms of links, work toward becoming a thought leader in your niche. Now, it’s easier said than done, and guest blogging is just one piece of the puzzle. Pitch articles to niche publications, as well as channels like Inc., Forbes and Entrepreneur. Additionally, creating engaging audio and video content presents another way to reach new potential customers. The other side of this is a concerted push toward online reviews. Of course, you need to provide friendly, helpful service to all and be transparent about how you do business. Ask existing customers to rate you on Yelp, Google or Facebook. You may need to incentivize them with a small discount, a free item or a chance to win some big-ticket item. Another option is to offer a referral program. Think 20% off your next order when your friend buys. Or $10 off your next meal. These kinds of strategies are great for word of mouth but, to the chagrin of many a digital marketer, don’t always result in straight up backlinks. People who don’t work in digital marketing don’t know how much you care about the link, so they’re happy to mention your brand by name sans link. Now, these linkless mentions are actually going to work to your advantage. In the realm of linkless backlinks, the idea is getting people to talk about you on social, on other sites, and so on. Your goal is to be the talk of the town. Use your business name in article titles/social posts, if possible. If it doesn’t sound natural, skip it–but including your brand can boost your SEO. According to webmaster analyst, Gary Illyes, if you’re publishing high-quality content that people cite in their own research or people are mentioning you on Facebook or Twitter, or they’re talking about your branding, you’re doing really well. Basically, SEO is less of a “gotta catch em all” strategy than it used to be. Now, the focus is on quality, relationship building and generating buzz. As with traditional link building, a good way to get some link leads is by running a competitive analysis. Use your Monitor Backlinks account to spot guest post opportunities, by seeing where similar businesses are getting backlinks. A place that gives backlinks is also a great place to earn mentions. Once you’ve logged in, click on the Competitor Links tab. From there, you’ll select the company you want to look at and you’ll get a list of links, starting with the newest sites. Finally, it’s worth pointing out that all of these methods are valid ways to build your traditional link profile, too. Talk to your contacts, and know—if they’re not willing to link back to your products or profile, a linkless backlink can give you a good boost, too. Linkless backlinks have reportedly been “the future” for the past few years. And it makes sense. We’ve seen SEO strategies move from a clunky, keyword-first approach to a more sophisticated practice that puts utility before outsmarting the competition. We need to be more nuanced about SEO—and these mentions stand to raise your profile in a way that feels far more natural than getting a boatload of mentions from low-quality sources. But, consider linkless backlinks just another piece of your total SEO strategy—good old-fashioned hyperlinks and all.